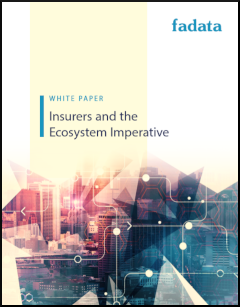 Have insurers embraced the implications of emerging ecosystems? Insurers pressing ahead with the replacement and modernization of their core and front-office systems are keen to avoid implementing tomorrow's legacy systems. Such is the pace of change. Working closely with other providers in the insurance ecosystem offers a smart way of future-proofing competitive capabilities. This white paper explores the advantages, imperatives and nuances to consider in pursuing an ecosystem strategy.